On joining, the full power of Urbano only becomes apparent and membership unlocks the full networking and marketing toolkit, allowing you to search the whole database of companies and individuals who have attended one or more Urbano events. 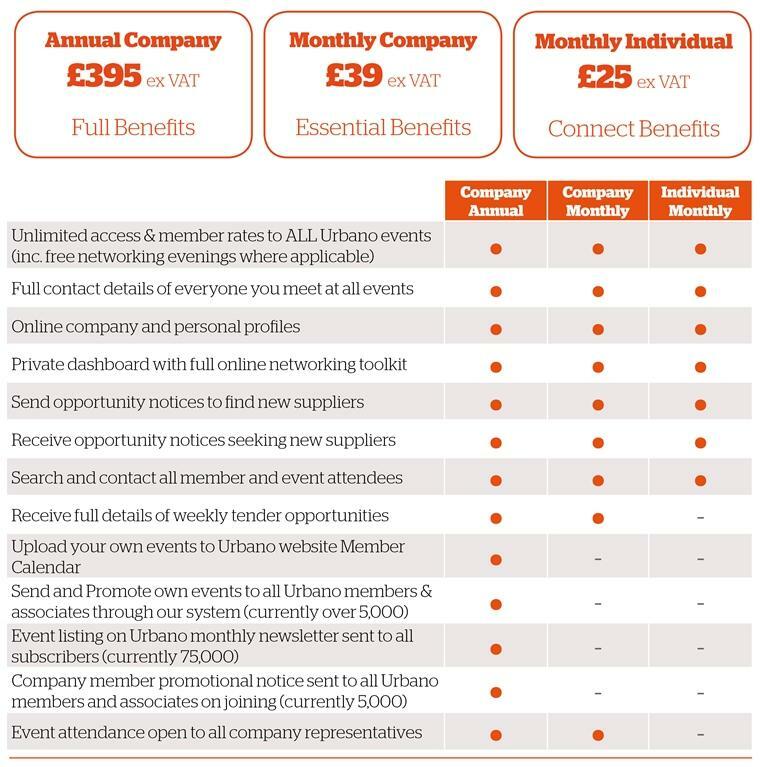 Urbano Company Membership status is not restricted to limited companies, but is used by Urbano to distinguish the level of benefits and services that member receives, not the legal status of the applicant. All monthly direct debit memberships are for a minimum 12 month term. Individual membership can also be paid on an annual basis at £250 +VAT. Charity Membership is available at £295+VAT with full benefits. Charity membership is restricted to registered charities. Please make sure you include your charity number on your membership email.